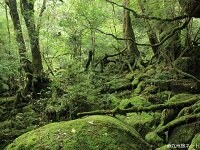 Yakushima is a subtropical island off the southwestern coast of Kyushu and part of Kagoshima Prefecture. Because of its abundance of nature, Yaku-shima Island was inscribed as a World Natural Heritage Site for the first time in Japan in 1993. 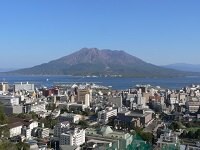 Seventy-five percent of the whole island is mountainous. 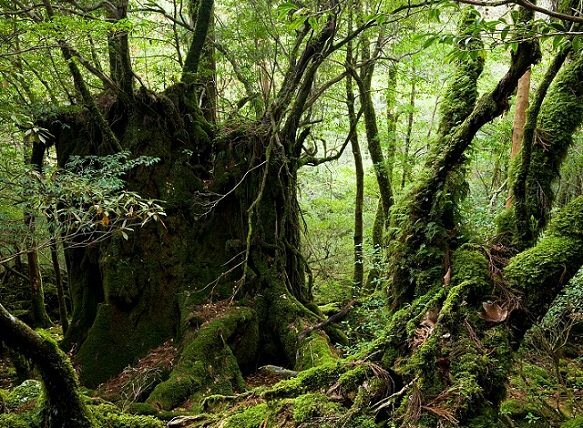 It is covered by an extensive cedar forest that contains some of Japan's oldest living trees. 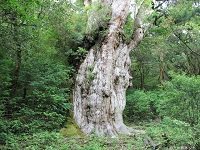 Trees more than 1000 years old are affectionately called yakusugi (a combination of Yakushima and sugi, the Japanese word for cedar), the most ancient of which may be over 7000 years old. Continuing up around the coast to the mountaintop, as the altitude increases, the climate changes from that of a subtropical zone to that of a subarctic zone, and the plant systems change in the same way, as if nature in the Japanese Archipelago were condensed. Experiencing much rainfall throughout the year, the island is covered with deep green forests. Most tourists come to the island to hike through the forests and see the ancient cedar trees. A stay at one of the islands pensions will enable you to try some of the exceptionally fresh local food.